I really enjoy photographing military weddings that include the use of swords. 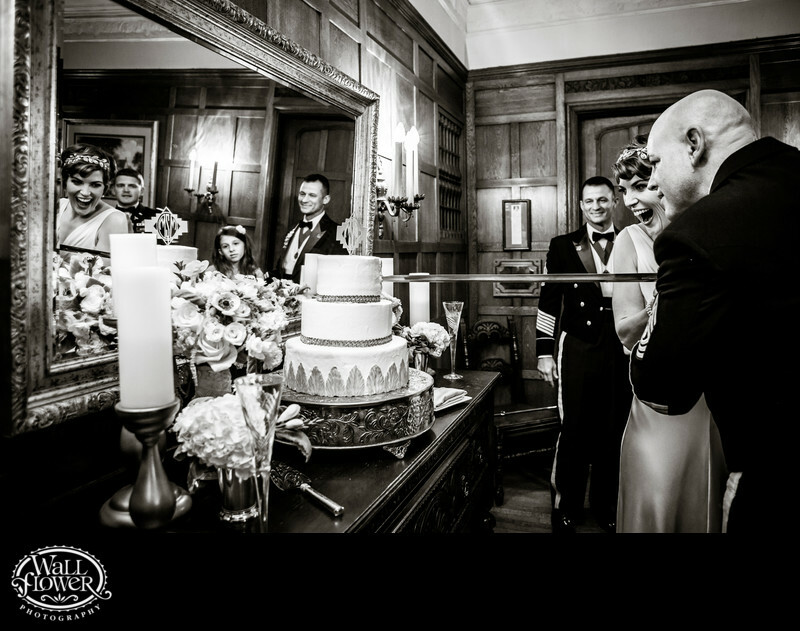 Just about everything you do with them looks cool, even when it comes to cutting a slice of wedding cake for the bride and groom to feed each other. The bride's expression alone makes this photo great, and the reflection in the mirror, which duplicates two faces and reveals two otherwise hidden wedding guests, just adds another layer of interest to study. This wedding took place at the Weyerhaeuser Estate in Tacoma, Washington, a nearly century-old mansion with countless beautiful settings and backdrops indoors and out.